USB cables have been around since the nineties and enable the user to hook up your computer to other devices like a printer or for charging purposes. With a USB cable you can also charge your portable devices like your cell phone or tablet without the use of an outlet. The USB has become a great adapter also for just about any device you can use on a computer. By using this cable you can play or use about any electronic device that is known to operate from a computer. The word USB stands for Universal Serial Bus. With a computer and it’s hub you can plug in many USB devices at one time. Some have as many as six ports or connections. USB cables come in two basic types, USB 2.0 and USB 3.0. 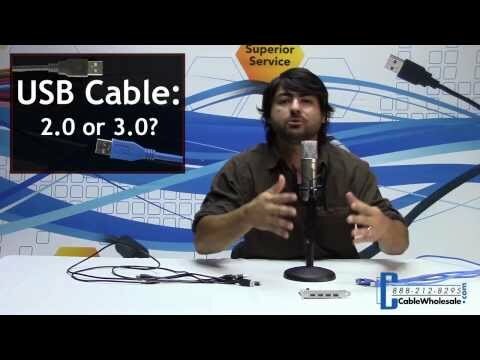 The 3.0 is the newest USB cable and arrived on the marketplace around 2009. 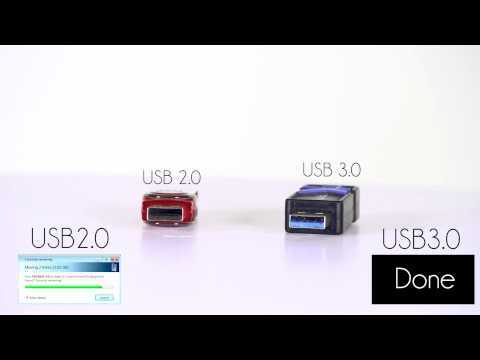 The USB 3.0 is newer and a lot faster than the 2.0. The USB 3.0 cable has a speed of ten times faster than the original 2.0. The USB 3.0 has a more efficient management system saving you energy. If you have a USB 2.0 port on your computer you can still use the newer 3.0 cable on it. If you don’t know what kind of port you have on your computer you can find out by looking at the inside of the port. The 3.0 port will be a blue color on the inside. The same for a 3.0 cable it will be blue on the inside. You can still use your USB 2.0 cable on the 3.0 port of your computer. Likewise the compatibility of the USB 3.0 cable will hook up on the 2.0 USB computer port so you have a backwards compatibility. The newer USB 3.0 cable however provides a faster speed than the 2.0 cable. It is actually much faster up to ten times the speed of the older 2.0 cable. So with all the reverse compatibility of the connections of your devices you will need to purchase a USB 3.0 cable to run at faster speeds. The USB 3.0 cable has more bandwidth so you can receive more channels including sending and receiving data. This is what makes the 3.0 cable a much faster connection for all your USB devices. To get the top speed for your devices you need a 3.0 USB cable hooked up to a 3.0 port. Your device will have to be USB 3.0 connector also. To sum up; the USB 3.0 cable is much faster than the 2.0 cable but you will need all the 3.0 connections on your computer and your device to get the fastest speed.